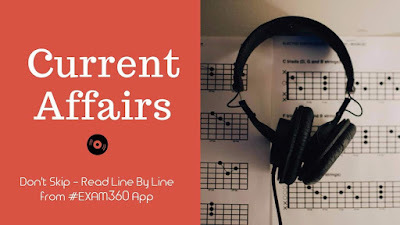 Current Affairs Updates for 31st March 2018 has all the important headlines mentioned here with the Latest and Updated materials. These are very important for the upcoming government examinations like IBPS PO, IBPS CLERK, SSC CGL, SSC CHSL and Railways. Some headlines like the Sharing of yamuna Waters in Three Districts in Rajasthan, breaking down of Chinese Space Station, introduction of Timestamps by Twitter, MoU between India and Canada in the field of Intellectual Property Rights are some of the eye catching news headlines based on the Current Trend and Latest Government Exam Patterns. Long-serving American diplomat Rosemary DiCarlo was today appointed to become the first woman to head UN political affairs, one of the most high-profile positions at the world body. DiCarlo will replace Jeffrey Feltman, another American who held the post of under-secretary-general for political affairs since 2012, overseeing UN efforts to end conflicts worldwide. The Reserve Bank of India (RBI) has imposed a monetary penalty of ₹58.9 crore on ICICI Bank Ltd for non-compliance with the directions issued by RBI on direct sale of securities from its Held To Maturity (HTM) portfolio and specified disclosure in this regard. In a bid to help boost the employability of the state, the Asian Development Bank (ADB) has agreed to give 80 million dollar loan to Himachal Pradesh. The funds given by ADB will help in the modernization of technical and vocational education and training (TVET) institutions and improve skills ecosystem in Himachal Pradesh. According to a report titled “Mobile Internet in India 2017”, the Internet and Mobile Association of India (IAMAI) and KANTAR-IMRB the number of mobile internet users in India is likely to reach 478 million by June. The number of mobile Internet users increased by 17.22% from December 2016 to reach 456 million users by December 2017. The Ministry of Drinking Water and Sanitation has informed that under the Scheme ‘National Rural Drinking Water Programme (NRDWP), 10% of the total allocation of funds is earmarked to be used for the supply of drinking water to Scheduled Tribe (ST) dominated habitations. States have been directed to take special care for implementation of its scheme / programme in tribal areas and progress thereof is monitored through online integrated management information system (IMIS) of MDWS. Yamuna river water will be supplied to Churu, Sikar and Jhunjhunu districts in Rajasthan from Tajewala headworks in Haryana. The water will be supplied through a pipeline and the Centre will provide financial assistance for the same, the state Water Resources Minister Rampratap said. Assam chief minister Sarbananda Sonowal launched a toll-free helpline number 189 for women in distress in Guwahati , amid a spurt in crimes against women in the state. The toll free helpline will initially work from 9am to 5.30pm, but will soon be a 24x7 service. Madhya Pradesh has won the Geographical Indication (GI) tag for Kadaknath, a black-feathered chicken known for its flavourful meat and found mainly in the tribal district of Jhabua, trumping Chhattisgarh’s claim over the breed. Breaking down into several big pieces, Chinese space station weighing over 7 tonnes will crash into our planet on or around April 1. Chinese authorities are monitoring its move, it could crash in a northern US state such as Michigan. An historic agreement has been signed to protect the largest tropical peatland in the world, which is a globally important carbon store. The Brazzaville Declaration, signed by the Democratic Republic of Congo (DRC), the Republic of Congo and Indonesia, protects the Cuvette Centrale region in the Congo Basin and promotes better management and conservation of the area. Egyptian president Abdel Fatah al-Sisi has been re-elected for a second term after an election campaign in which five of his potential challengers were prevented from getting on the ballot. Preliminary results showed that Sisi won about 92% of the vote, with turnout at around 41.5%. Nasa is all set to send the first-ever mission dedicated to exploring the deep interior of Mars, the US space agency said on Thursday. Twitter has introduced “Timestamps” - a new feature that will make it easier for its users to share a key moment from long, live videos. China successfully launched twin satellites via a single carrier rocket in Xichang of southwest China's Sichuan province. This added two more members to its domestic BeiDou Navigation Satellite System (BDS), reports Xinhua. The MoU was signed on February 23, 2018 and is intended to promote innovation, creativity and economic growth in both countries. The Minister for Human Resource Development, Shri Prakash Javadekar launched in New Delhi the world’s largest event is its kind- the two day grand finale of Smart India Hackathon 2018 (Software Edition) being held at 28 nodal centres across the country simultaneously.